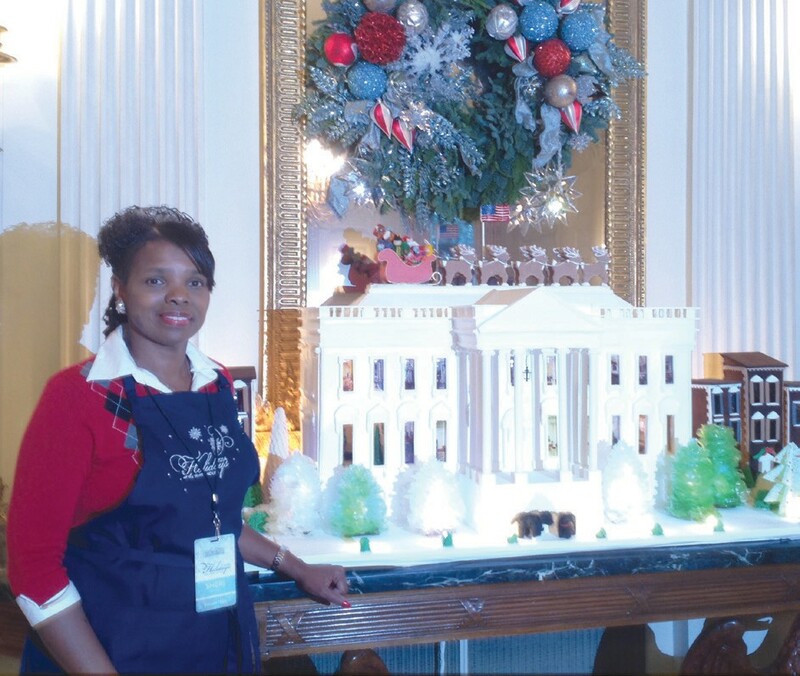 Sheri Saleem Scott, spent the first week of December in Washington, D.C. decorating the White House for Christmas. Mrs. Scott was one of approximately 90 volunteers selected for this honor, and she was the only person from Georgia. The application process began during the summer and in October she received an email message from the White House Social Secretary, Jeremy Bernard, confirming her selection. The volunteers were placed on teams assigned to decorate specific rooms and areas in the White House. Mrs. Scott’s team decorated the State Dining Room. The State Dining Room is the room used for dinners hosted by President Barack Obama and First Lady Michelle Obama. After the White House was decorated, the volunteers along with a guest attended a Holiday Reception hosted by First Lady Michelle Obama. Mrs. Scott attended the reception with her husband, Gregory and were among the few who shook hands with Mrs. Obama. The experience is described by Mrs. Scott as such a blessing and one of those once in a life time opportunites. She formed new friendships with other volunteers and with some of the White House staff. The HGTV network was on location at the White House and filmed this annual decorating process. The episode is available on their website. Sheri Saleem Scott is retired from Savannah State University as the Executive Assistant to the President and currently works part time for the President of Kelly Tours, Mr. Don Adams, as a Travel Assistant. She is the wife of Gregory Scott, and they have one adult daughter, Taqwaa Saleem. Her proud parents are Raymond and Shirley Thomas of Savannah.